The last exhibition I attended at the Wellcome Collection was 'yellowbluepink' by Ann Veronica Janssenns. It was an phenomenal installation piece playing with light, consciousness and perception. I thoroughly enjoyed it and commended the Wellcome Collection for putting on such innovative work. 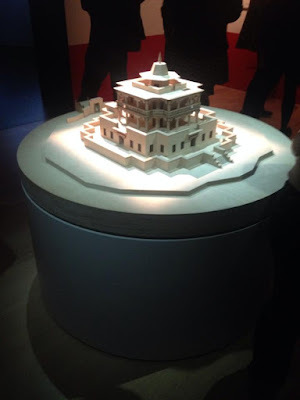 Tibet's Secret Temple had a lot to live up to. Unfortunately, it didn't really live up to my expectation. 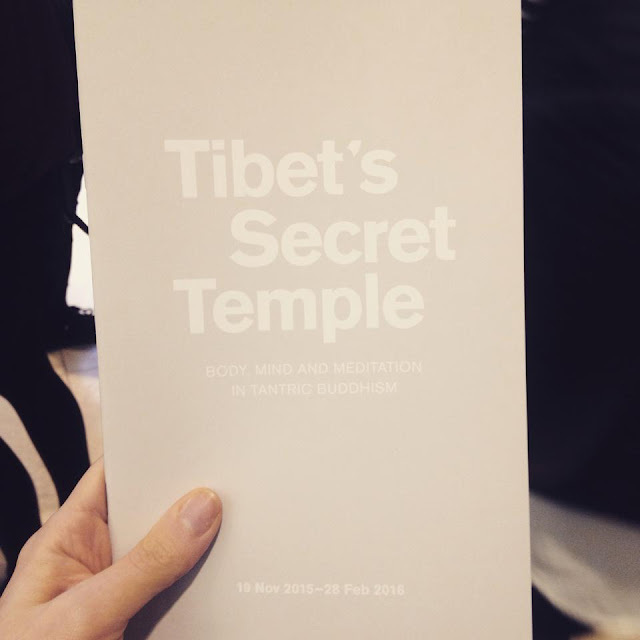 It has such a great premise for a truly enthralling exhibition; Tibetan yogic and meditative practices are so far from how we, as a Western society, practice the same disciplines. Their spiritual connection to humanity's well being runs so deep and is ingrained into their culture, and this is visible in their murals and traditions. However, I attended the exhibition on a Saturday...a busy Saturday...and it's very hard to appreciate and understand a deep meaning of peace, when you're wading through the exhibition for the exit, because you're feeling claustrophobic. I feel bad for the Wellcome Collection, as they do such a brilliant thing by offering the public free access to the exhibits, and they did attempt number control by organising the queue for the exhibit. It's just such a shame they you don't get to experience Tibetan peace, peacefully. They have a great permanent exhibition there which I would hugely recommend, and the parts of Tibet's Secret Temple that I had time to read about and contemplate, were incredibly interesting. I'd just recommend, if possible, going as off-peak as possible. Oh such a shame! How ironic for an exhibition. I'm hoping to visit Big Bang Data at Somerset House - seems like a worthwhile trip to the Strand!